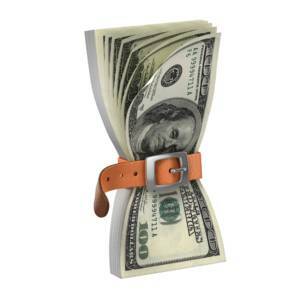 Venture capitalists’ wallets are tightening, according to a recent report by PricewaterhouseCoopers (PwC). In the first quarter of 2019, venture capital (VC) funding fell 36% to $25 billion, with 4% fewer deals compared to the fourth quarter of 2018 – when $39 billion was invested in 1,328 deals. And while the 2018 dollars were impressive, the total number of seed-stage deals has been on a steady decline, decreasing 18% from 2017 and 22% from 2016. Indiana needed to take giant leaps forward during the 2019 legislative session to make the state more competitive for VC dollars. Senate Bill 563, authored by Sen. Travis Holdman (R-Markle), does just that. Its intent was to update some of the tools available to the Indiana Economic Development Corporation (IEDC) to incentivize investment in the state, many of which have gone untouched since they were established in 2005-2006 during the Daniels administration. SB 563, also known as Gov. Holcomb’s economic development bill, accomplishes its intent. This is especially so for seed-stage companies, whose slice of the pie has been getting smaller each year. Indiana’s Venture Capital Investment (VCI) tax credit returns to investors 20% of their investment in early-stage companies for application toward their Indiana tax liability. However, the VCI credit is rendered useless for many investors outside Indiana because they do not have any state tax liabilities. SB 563 makes the credit “transferable” – which means any investor who receives the VCI credit can sell it for cash. Small Business Investment Voucher: Allows small businesses to partner with Indiana’s colleges and universities (public or private), as well as other “authorized” entities for research and development, technology exploration, technical development and commercialization services. The IEDC is requesting an appropriation of $1.5 million during the next two years to award “matching funds” in the form of vouchers to qualified businesses. Hoosier Business Investment Tax Credit: Adds additional categories of machinery and equipment that a business can purchase and still receive the credit. Currently, a business can only receive the tax credit when it purchases new manufacturing equipment. SB 563 extends the credit to businesses that purchase “retooled or refurbished machinery,” as well as equipment to reduce pollution, conserve energy and generate renewable energy. Headquarter Relocation Tax Credit: Makes high-potential small businesses (those that receive $4 million or more in venture capital) eligible for a refundable tax credit (a standard credit is nonrefundable). The credit is available for a company contractually agreeing to relocate either its headquarters or 80% of its payroll to Indiana. Redevelopment Tax Credit: Lawmakers are phasing out the current Industrial Recovery Tax Credit, also known as the DINO tax credit, in favor of the more flexible Redevelopment Tax Credit. The goal remains the same: revitalize abandoned structures. However, now investors can also receive credits for rehabilitating or remodeling smaller buildings located in smaller communities, regardless of their original use, instead of the credit only being available for revitalizing 100,000-plus-square-foot former industrial facilities. Market Based Sourcing: One additional upgrade in SB 563 changes how service providers’ income tax liability is determined; primarily to benefit Indiana companies that sell services to out-of-state customers. These companies are often double-taxed – meaning they pay income taxes to Indiana as well as in states where their services are sold. SB 563 limits tax attribution to the state or states in which the delivery of the services occurs. The legislation passed the Senate 45-4 and the House 90-0. Differences in the two versions are expected to be worked out before the bill goes to the Governor for his signature.